In a small saucepan set over medium-high heat, combine the balsamic vinegar and sugar. Bring the mixture to a boil and continue cooking , until it has reduced and is the consistency of syrup, about 5 minutes. (It will thicken as it cools and only yield a few tablespoons.) 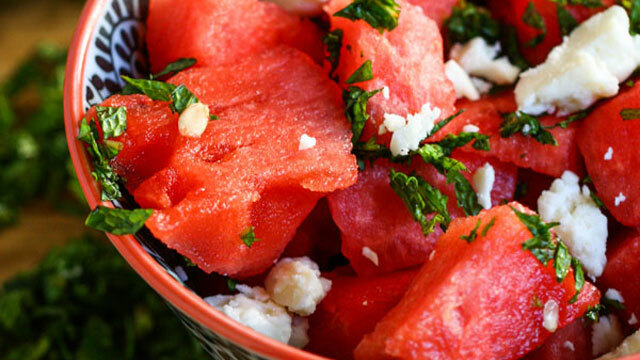 Set it aside to cool while you prepare the salad. Cut the watermelon into cubes . Add it to a large bowl.